Mr. Anderson co-founded Paragon in 1993. From the time of inception of the company until fall 2014, he was the VP of Engineering and Chief Engineer of the company and was responsible for the design and implementation of not only many of Paragon’s technical achievements, but also its processes of engineering rigor in a stepped approach of requirements, design, build, test and delivery. This process has been cited by many customers as unique, disciplined and highly productive. Coming from a background of not only technical but financial and managerial training, he has held diverse positions at Paragon including Treasurer/Secretary, CFO, Sr. VP of Operations, Chief Operating Officer and Director of Manufacturing. Recognized as a leader in the life support in extreme environments field, Mr. Anderson has lead the systems and conceptual design of multiple spacecraft under contract to Lockheed Martin, NASA, Inspiration Mars Foundation and others. He holds multiple patents in a diverse range of disciplines including testing systems, isolation systems, radiator systems and overall systems design. He has lead development and qualification of experimental flight hardware for five shuttle flights, two Mir missions, a Russian Progress, and the first commercial payload on ISS. Prior to starting Paragon, Mr. Anderson was the Chief Design Engineer for the International Space Station Solar Array Program–the largest solar arrays ever built–while employed at Lockheed Martin, Sunnyvale, CA. Mr. Anderson holds two degrees from Stanford University in Mechanical Engineering (B.S.) and Aeronautical and Astronautical Engineering (M.S.) and is a registered Professional Engineer in the state of California. His diverse education/training included non-technical roles such as Controller for a Palo Alto, CA real estate firm during college where he implemented some of the first computers into the company’s financial systems to track and monitor property financial performance. Working at an aviation consultancy, he participated in the start-up of two airlines through route analysis, equipment analysis and strategy advice. One went on to be America West, now part of American Airlines. Mr. Anderson is also a graduate of the International Space University 1991 summer session with emphasis on space business and management. In his spare time, Mr. Anderson is an avid bicyclist and is known to ride solo for hundreds of miles to clear his mind. Mr. Anderson lives in Tucson with his wife of almost 30 years, Ines, and their three children. Mr. Johnson has more than 15 years experience in a wide range of professional Accounting and Finance leadership positions. Prior to joining Paragon Mr. Johnson spent three years at Raytheon Corporation in the Raytheon Missile Systems business unit where he maintained responsibility for the $4B+ Income Statement and was the lead interface for internal Earned Value Management Systems (EVMS) reporting. Additionally Mr. Johnson worked in the Business Office as the Financial Planner of the Kinetic Energy Interceptor Program during some of its initial development and planning stages and in the Business Office of the Lockheed Martin/Raytheon Javelin Joint Venture. Prior to joining Raytheon Corporation, Mr. Johnson was the Assistant Controller/Finance Manager at Columbia University’s Biosphere 2 Center overseeing all the Financial Operations of the organization. Prior to the Biosphere 2 Center, Mr. Johnson spent several years in Big 5 Public Accounting working as an auditor for both Ernst & Young LLP and Deloitte & Touche LLP. Mr. Johnson holds a B.S. in Business Administration from the University of Arizona with double majors in Accounting and Finance and is also a Certified Public Accountant. Mr. Finger maintains the technical excellence of the company’s Life Support and Thermal Control products through the diligent application of innovation, value-added program gate reviews, efficient procedures, coordination between engineering and other internal and external organizations, and the evaluation and selection of tools, personnel, and training. He previously served as the Inspiration Mars ECLSS Technical Lead and was responsible for the on-time delivery of prototype life support subsystems, hardware, and data products. Other significant roles at Paragon include Director of Advanced Concepts and Business Development, Commercial Crew Transport–Air Revitalization System (CCT-ARS) Project Manager, and ECLSS technical lead on the Excalibur Almaz and the Rocketplane Kistler programs. Prior to joining Paragon, Mr. Finger served as the ECLSS Manager for Bigelow Aerospace where he led a lean team of engineers and technicians that developed ECLSS for commercial human spaceflight vehicles. During his time at Bigelow, the team successfully launched the first two long-duration inflatable spacecraft into low earth orbit. Mr. Finger previously served as the International Space Station (ISS) Sustaining Engineering (SE) Program Manager for Honeywell where he managed ISS SE activities related to the support of company flight hardware and systems aboard ISS. He also previously served as an ECLSS design engineer for Hamilton Sundstrand at the Johnson Space Center (JSC) and the Dynamac Corporation at the Kennedy Space Center (KSC). Mr. Finger received a B.S. and M.S. in Aerospace Engineering from the University of Florida. Ms. Haas directs the business development and marketing efforts for Paragon. Prior to joining Paragon, she had more than 25 years of global business experience with Fortune 100 and startup companies in diverse industries including aerospace, energy and entertainment. Her aerospace experience includes engineering and project management roles on the Space Shuttle and International Space Station as well as program management roles on several programs at Moog (formerly Schaeffer Magnetics). Her corporate background includes stints as Vice-President and General Manager at the Sony DVD Center which launched the DVD format worldwide and Vice President Business Development for the Sony Pictures Digital Studios Division. Ms. Haas has been recognized in several areas, including the NASA Silver Snoopy Award, Engineer of the Year honoree, and the President’s Leadership award at Rockwell International/Rocketdyne (now Boeing). She is the recipient of the Sony CEO Award in Tokyo and the Sony 50th Anniversary Innovation Award. Ms. Haas is a member of the Television Academy of Arts and Sciences and served on the Susan G. Komen Board of Directors. Leslie received her B.S. degree in Industrial Engineering from Texas A&M University and her MBA from Pepperdine University in Malibu, California. Ms. Camarena brings years of experience in the many facets of manufacturing, along with the ability to greet each new challenge with a positive attitude. Ms. Camarena’s strong leadership and her ambition for success is an excellent combination as the manufacturing manager. She leads multiple departments, including Manufacturing, Purchasing, scheduling, inventory, Logistics, as well as being the Program Manager for Orion Environmental Control and Life Supports Systems (ECLSS) tubing, NASA Goddard Space Flight Center, and Rolls Royce NA Engine Systems. 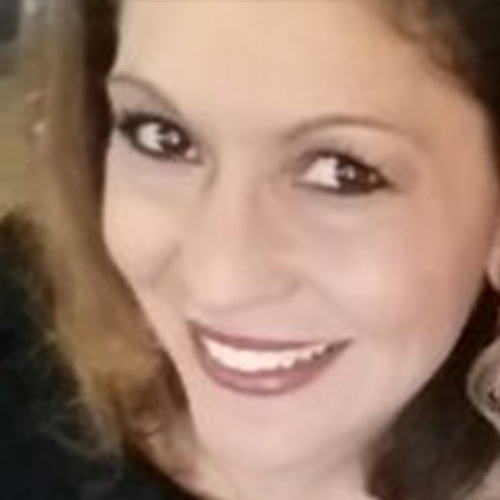 Prior to joining Paragon in 2008, Ms. Camarena worked in the energy field during college, She became the Operations Manager for a state of the art optics company in Santa Fe NM. The company relocated to Tucson (the Optics capital) in 2004 and this is what brought her to Arizona. Mr. Wise has over 35 years of experience in the aerospace manufacturing industry providing supporting roles as Quality Assurance Manager, Quality Engineering and Manufacture Engineering. 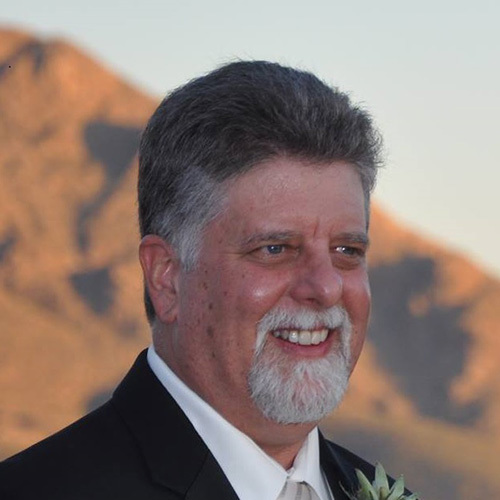 Danny has worked for various aerospace manufacturing companies that provided aerospace components for companies such as Raytheon, Honeywell and General Dynamics. He is responsible for the administration and compliance of the quality management system to AS9100 aerospace standard in support of customer such as NASA, Boeing, Lockheed Martin, US Navy, and private contracts.